Credit card error message - "transaction not approved"
For some users, particular newer BugHerd users, when there is a credit card charge that has been declined, it's common to see the reason marked as "transaction not approved". If you see this message (or a slight variation on the wording of it) then this usually means the charge is being declined by your bank, as it can sometimes be flagged by them as being "unusual activity" for those who don't make a lot of online purchases from Australian-based companies. While it's comforting to know that your bank is being appropriately vigilant with your account security, in situations like this where the payment is a legitimate one, we understand that it can be quite frustrating. Luckily, a quick phone call to your bank to get them to 'white list' BugHerd as a legitimate charge fixes this. Once this has been updated, our system will generally attempt to charge the fee again within 24 hours and you'll be back to business as usual! 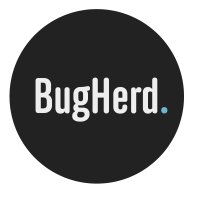 Where can I find the BugHerd browser extensions?